Steve has a Bachelors in Music / classical guitar from Rhode Island College and attended Berklee College of Music in Boston to study jazz composition. He started teaching at Score in 2006 and purchased the studio in 2013. Steve currently plays guitar and sings with the Cape Cod jazz / pop duet, Two Cool. 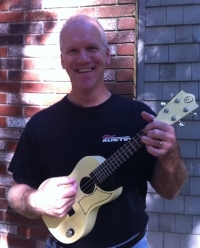 He is the founder of the Cotuit Center for the Arts Ukulele Orchestra series of classes and the Ukulele Kidz series of classes at the Cape Cod Conservatory. He coaches middles school aged kids how to play rock and pop music in a big band setting for the Conservatory's Summer Sounds program. Steve is also the Saturday Service Music Director at West Parish Church in West Barnstable. Ted graduated from the Ithaca College School of Music with a Bachelor of Music Education degree with honors in 1970. He taught middle school choral and instrumental music in Connecticut before hitting the road as one half of the duo Porta and Ted which performed on Nantucket, in Fort Lauderdale, St. Thomas, Sherman Oaks, CA, Lake Havasu, AZ, and Cape Cod. Ted has performed at various restaurants on the Cape including the Dolphin Restaurant where he appeared on Saturday nights for twenty-three years. He also is the pianist for Christa Dulude, a local jazz singer. Besides his interest in the piano, he plays trumpet in the Sandwich and Barnstable Summer Town Bands and studies cello with Sandy Spencer, cellist with the Cape Cod Symphony. Celeste looks forward to inspiring confidence and joy through vocal expression. To Celeste, there is nothing more gratifying than being able to share your voice. You must however access your confidence, overcome fear, support with breath, engage your heart, and then let it all go. It is a freeing joyous process worth all the effort! Celeste studied voice at Boston University, pursued Cabaret / Jazz study in New York City, Boston and Paris. She has been a professional singer for 30 years throughout New England and New York, and continues to perform on Cape Cod, both in professional venues and in local theater. Celeste has taught musical groups, church choir, theater, and provides individual vocal coaching to adults and children alike. Celeste will work with the music YOU love to sing ~ it is the best way to access your true voice ~ making the art of singing pure fun! Laura O'Neill graduated with honors from the University of Massachusetts, Amherst with a Bachelor of Music degree in music education. She is a licensed Kindermusik educator, and enjoys working with adults and children of all ages. She has been a member of the Nashville Symphony Chorus, a sectional leader at various churches, and conducted a children's choir in the Atlanta area. 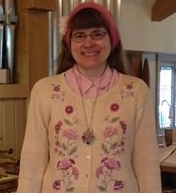 Laura currently sings with St. Peter's choir in Osterville, and has taught piano for several years. Chris has had a passion for playing drums since age 10. Studying with various teachers through his formative years. Chris earned a scholarship to Berklee College of Music where he honed his skills studying with world renown teachers such as Rod Morgenstein and Dave Dicenso. Chris played with various jazz, funk & studio ensembles while at Berklee. Chris has toured with national artist Zach Deputy, playing major venues and music festivals. Currently, Chris resides on Cape Cod playing with various bands including The Sultans, Funktapuss, The Dune Billy Allstars & other studio projects! Chris has a passion for teaching and loves working with anyone interested in drums & percussion! Joan Gregory has been playing the piano since she was in 4th Grade. She taught herself guitar and sang with the prestigious America's Youth In Concert traveling choir. 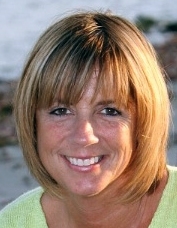 Joan graduated from Geneseo State University in NY with a degree in Elementary Education. 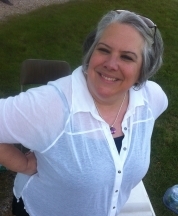 Most recently she has been the Director of Hand Bell Choirs for both the adult and children's ensembles at First Church in Sandwich. Joan is also Score Music's Bookkeeper. She and Steve have two wonderful kids and have lived in Sandwich since 2003. Meghan Schaffer-Hamilton has been playing music since she was a young child. She has played in several orchestras and bands, including the New England Philharmonic in Boston. 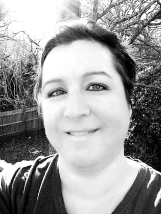 Meghan began teaching violin and piano lessons in 1998.